Book an obligation free meeting at one of our city stores. Please keep in mind allowance for Made to Measure suits is between 3 to 6 weeks. The more time you have, the more suiting options will be available to you. Work with our Wedding Consultant to select a suiting option that is best suitable – Made to Measure, Custom Fit or Suit Hire. For the groom to stand out, we recommend our Made to Measure Option. This option allows the groom to design the perfect wedding suit that include your personal touches. 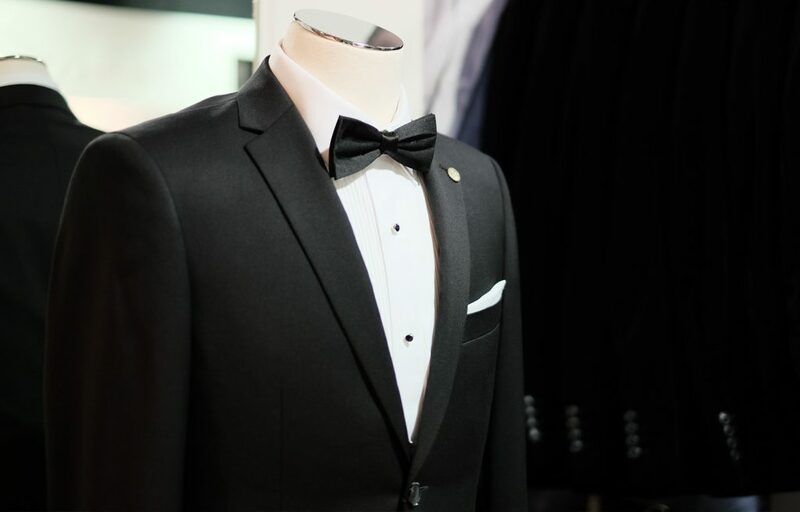 Our Custom Fit and Suit Hire Options are very popular for groomsmen, family and guests. Once you have been measured and fitted, you can now relax and wait for us to create or alter your suit/s for final fitting. Our two city stores stock a wide range of high quality accessories to add a bit of bling to your style. 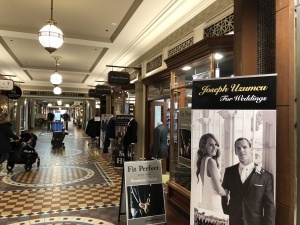 As men’s suits are normally fitted close to the wedding date, the final fitting creates buzz and excitement about the upcoming wedding. Share a coffee with us and your family as we dress you and your guests for your special day. Here at Joseph Uzumcu, we want to become part of your wedding and add to your experience. We want to make this part of your wedding preparation as stress free as possible.